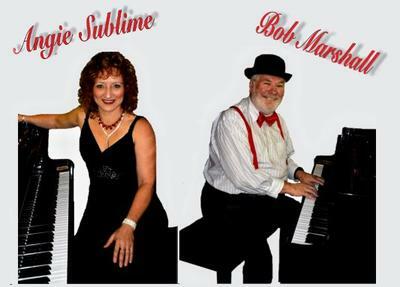 Angie Sublime and Bob Marshall entertain with cabaret type performances of hit songs old and new. From the 1940's "Boogie Woogie Bugle Boy" to Cher's 2011 hit "Welcome to Burlesque". Visually stimulating, funny, and great dance music. Bookings - All venues are free. It is always a very enjoyable sublime and fun night with Angie & Bob.